Reduced car hire rates at Ibiza Airport - Cheaper MPV, SUV & People Carrier rental in Ibiza. 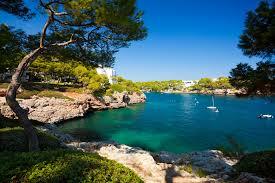 Book your cheaper car hire at Ibiza Airport, as well as around the island, including the marina. Save on quality vehicles from a good range of suppliers, that includes Atesa, Avis, Bravo, Budget, Europcar, Goldcar, Inter Rent, OK Cars and Thrifty. Inter \Rent keep their cars at the airport, as do Atesa, Budget and Europcar. However, Inter Rent also have a Zero Excess as standard. Goldcar offer a free extra driver in their rate, whereas OK guarantee you a car that was registered in 2015. If want to get your vehicle later and looking for a downtown location, then cars can also be collected from the town of San Antonio, the port of Ibiza, Figueretas, Sant Eulalia Del Rio, Cala Tarida, Playa Potinatx or Playa den Bosso. However, for the most choice, like minivans or SUVs, then the airport is probably your best bet. Compare vehicles, extras, terms and prices in Ibiza. Debit card use is okay, if book Record, Goldcar through us. We make motoring easier and cheaper in Ibiza. 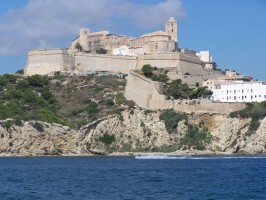 The airport of Ibiza is located five miles southwest of the town of Eivissa. Follow signs for PM-801. 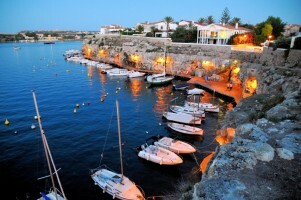 This airport also serves the island of Formentera, the other less known Balearic island. 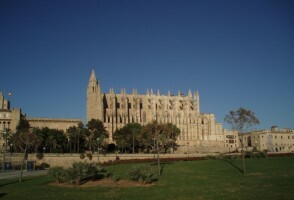 You may connect to Ibiza town by bus, travel time approx 30 minutes. Taxis are widely available out side arrivals and will bring you to the nearby resorts of Playa d'en Bossa, San Antonio, San Jos, Santa Eulalia, and San Juan. Free parking is available in the Blue zone for first 15 minutes and an hourly charge thereafter. To get your Goldcar rental, get the courtesy bus from PUBLIC CAR PARK P1 (not Rent-a-car-Park). The phone number of the office is 0965 23 31 67. The office is open from 0700H to 2300H. However if arriving outside of these hours, then your car cannot be collected. You will find the courtesy bus,at the far end of the public car park. Go past the meeting point sign, in the middle of the car park, and continue walking to the far end. Goldcar now also need a credit card and no longer accept debit cards. CDW (Collision Damage Waiver), with Zero Excess, Third Party Liability, VehicleTheft Protection (does not include personal items), Unlimited Mileage, 24 hour Roadside Assistance, Premium Location and Airport Fees, Tax (VAT and GST). On collection of your vehicle, you will need to produce the car rental voucher. This will be emailed. Also needed is your full valid driver's licence (no photocopies).